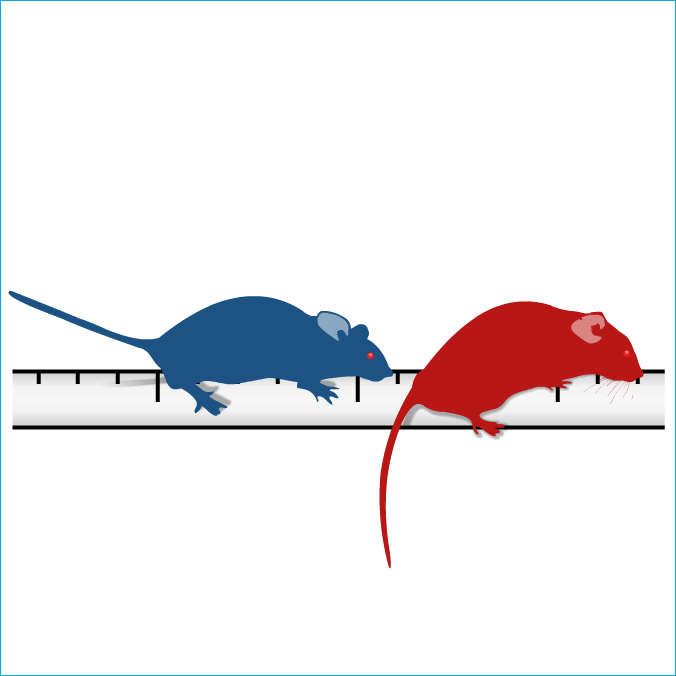 Rats walk across an elevated 2.5m long beam graduated every 50cm. Successful walkg every 50cm is scored with 1 point. Misplacement is scored with -1. Rats with delayed motor initiative are those that do not move within the 120s after the initiation of the test and thus are considered having limb akinesia. Compounds acting on sensori-motor deficits are usually evaluated in this test but other treatments could also be considered. Please feel free to contact us to discuss the feasibility of your study. 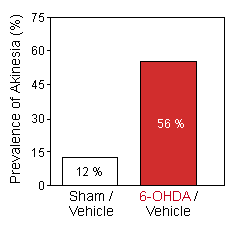 The prevalence of Akinesia was markedly high in 6-OHDA hemiparkinsonian rats. 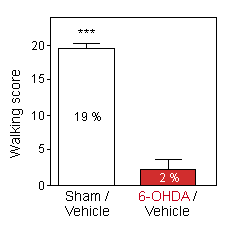 In addition, 6-OHDA hemiparkinsonian rats showed poor beam walking performance. The integrity of muscle function is assessed by the time taken by the mouse to catch a wire in the hindpaws whilst hanging from its forepaws. Forelimb contacts with the wall of an open-top, clear plastic cylinder while rearing are counted during 2 min. period. Dynamic Weight Bearing: based on an instrumented floor-cage combined with a video recording to evaluate spontaneous pain in freely moving rodents. Unilateral injection of 6-OHDA in the rat brain produces lesion and depletion of striatal dopamine along with significant gait disturbance. Neuroleptic drugs induce catalepsy and are thus used as a model for screening of new compounds that could reverse well-known symptoms of Parkinson's disease. Performance test based on a rotating rod with forced motor activity being applied.